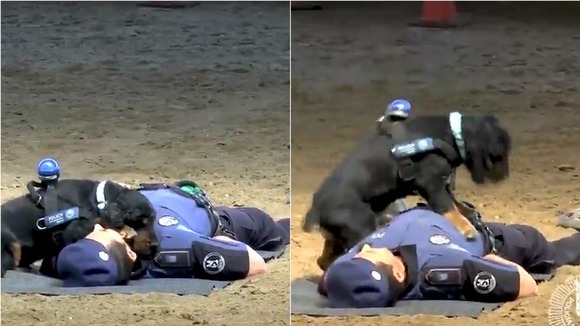 Police dog Poncho has learned a very impressive skill – he can perform CPR and check a person’s pulse. When Poncho’s handler plays dead, he springs into action to ‘save his life’. Although this time it was just a practice run, Poncho’s training could certainly come in handy in the future. Madrid’s police department was very impressed with the pooch’s abilities, calling his performance “heroic”. Very impressive what a talented dog?